Hansa Brewery will be pairing 2 of our haus biers and 2 guest biers with a cigar from our nieghbor, Cigar Cigar. 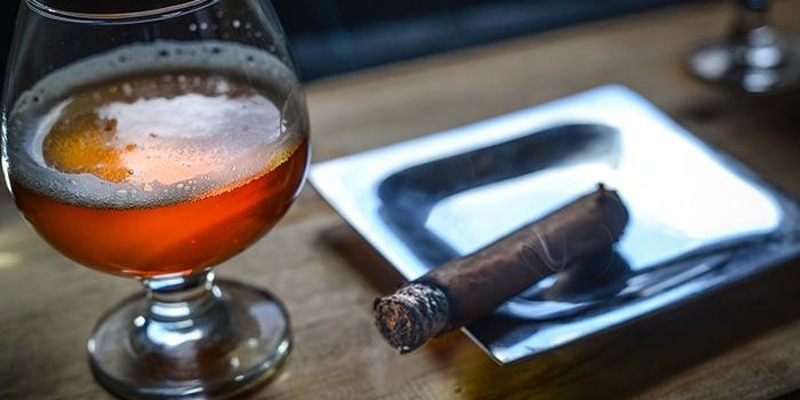 A $20 Ticket gets you one cigar, to be picked up at Cigar Cigar, access to our private event patio, and a flight (5 oz each) of our Cuyahoga Common, Winzig Haus Bier (Lictenhainer Style), Stone’s Smoked Porter, and Schlenkerla’s Smoked Helles. Come enjoy the wonderful smoked bier diversity paired beautifully with a fresh Cigar in our Bier Garden!